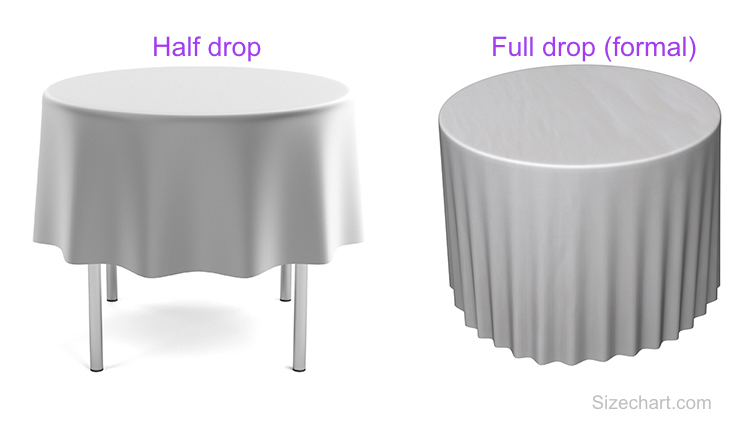 What is the right table cloth size? It actually depends on two different things: table size (of course) and occasion. Is it a informal or a formal occasion? See our Tablecloth Size Chart below to determine correct tablecloth size for rectangular tables. Measurements = width x length. All measurements in inches (see below for CM). All measurements in CM (see above for inches). Tips, Tricks or Questions about Tablecloth Size? Tips, tricks or questions about Tablecloth Sizing? Please post it below. Thanks!